How can I put subtotals under every product?? I know how to do this if the product has separate pricing for each category... but how can I do it for just quantities in a checkbox? does this require some code? also, I don't know if I ever got my question about the sub-headings on forms for multiple products?? I also need to make these subheadings Green so that they are easy to see. Also.. I know this is a lot but, is it possible to put the order details on my form into 2 columns so it's really, really easy for people to see?? This is gonna be marketed towards older folks. This is kind of urgent, as my company is using this for orders for a warehouse. Also random sidenote question: How many submissions are allowed for an order? is it 10 or 100 for an account? Thanks so much!! You guys have been super helpful so far, I just need these questions answered ASAP if you can. Apologies for the inconvenience. Unfortunately, it seems like it is not possible to show the sub-total item without enabling the special pricing. I'll forward this as a feature request to our developers, but I'm unable to guarantee that this will be implemented anytime soon. But rest assure that we will update you on this thread as soon as we hear any news. For the meantime, you might need to enable the special pricing for the sub-total to show under your products. We will address them shortly. 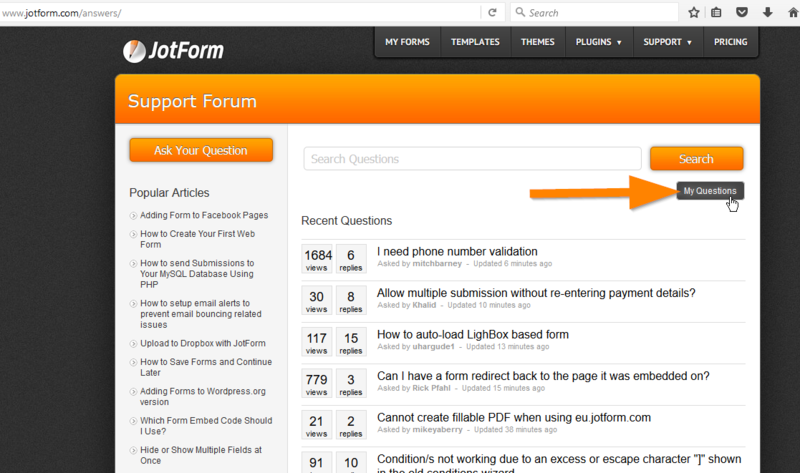 You can also check your list of questions under the "My Questions" option in the forum.